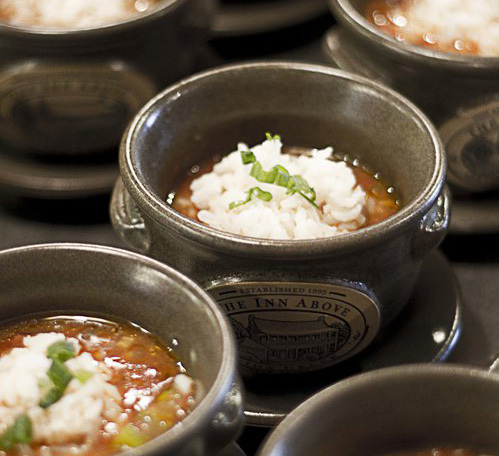 Our tableware collection has evolved over the years in tandem with our innkeeping and restaurant customers. These pieces include: hand-thrown Crocks, Bud Vases, and Pitchers, to name a few. They are designed to be used and you can even bake with them. We fire our stoneware up to 2150º in our glaze kiln, so don’t worry about your oven or microwave temperatures, they will be just fine! Tableware items are available in any glaze color. 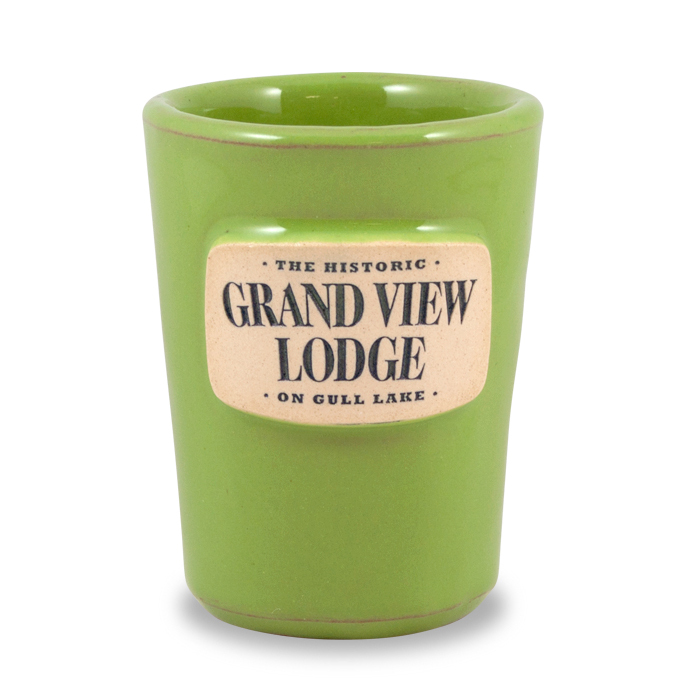 This large shot glass works great for espresso or displayed on the counter as a toothpick holder! 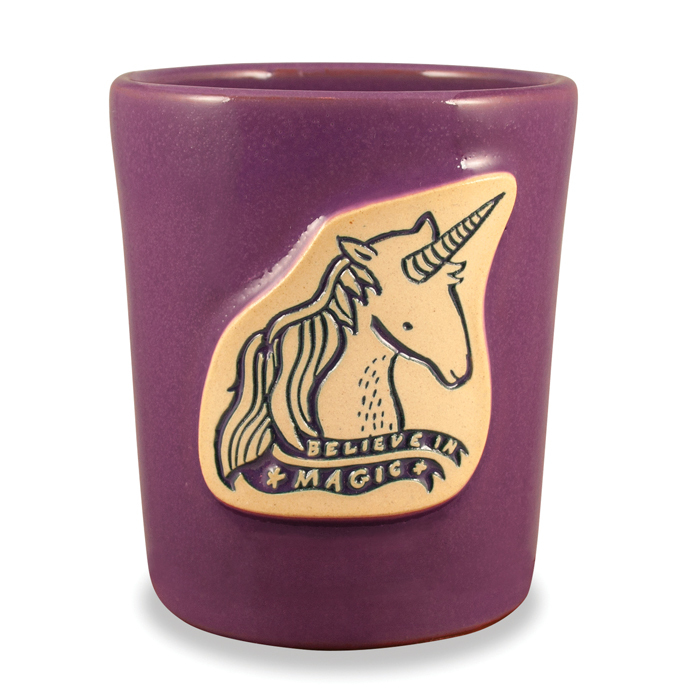 At just over 3.25" tall, the Petite Tumbler is perfect for kids and kids at heart! These little cups pair perfectly with apple juice, crayons, and whimsical artwork. 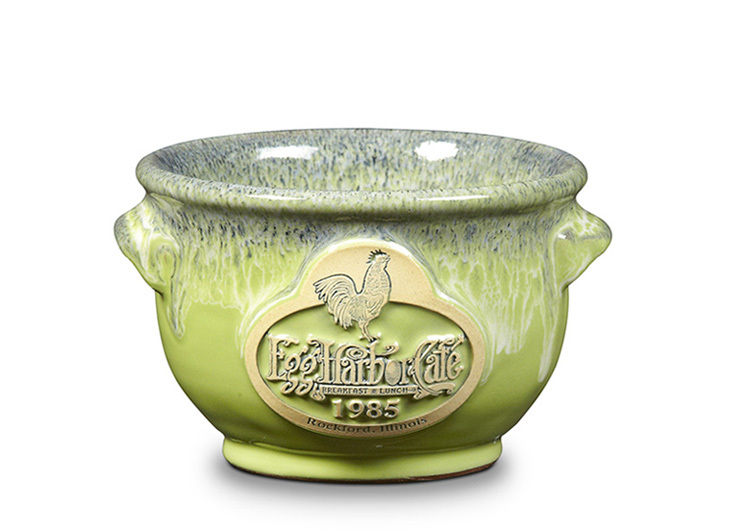 This hand thrown pottery Small Soup Crock is a favorite at Egg Harbor Cafe. They love using it for their daily cup of soup since it really is the perfect size to accompany a half sandwich. The medium size Soup Crock is a great piece for starting the day with a nice hot bowl of oatmeal! 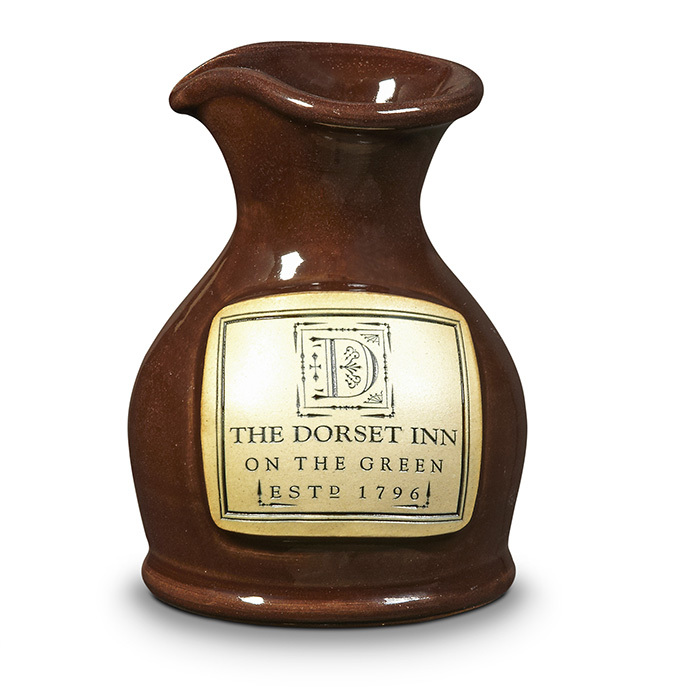 Better yet, fill it with ice cream for an after dinner treat! 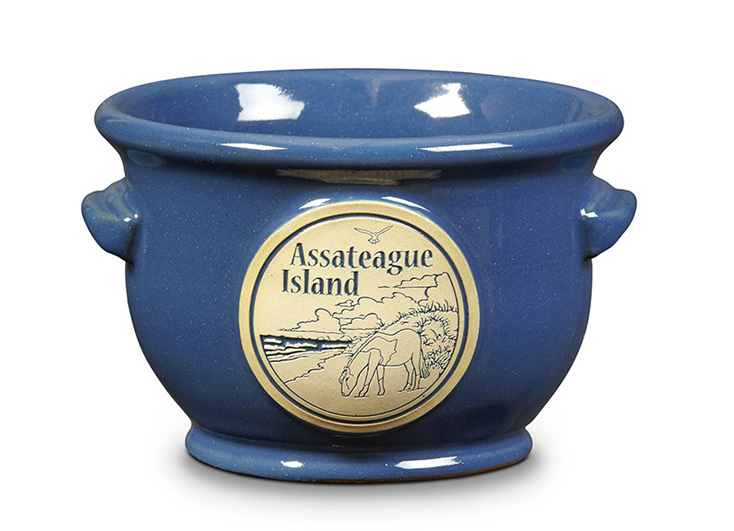 For a dash of variety, our National Park partners added the Large Soup Crock to their product mix. They also love the manageable minimum order requirements for these tableware products. When one shot of espresso just doesn't cut it. These cuties are sure to bring a smile to everyone's face. 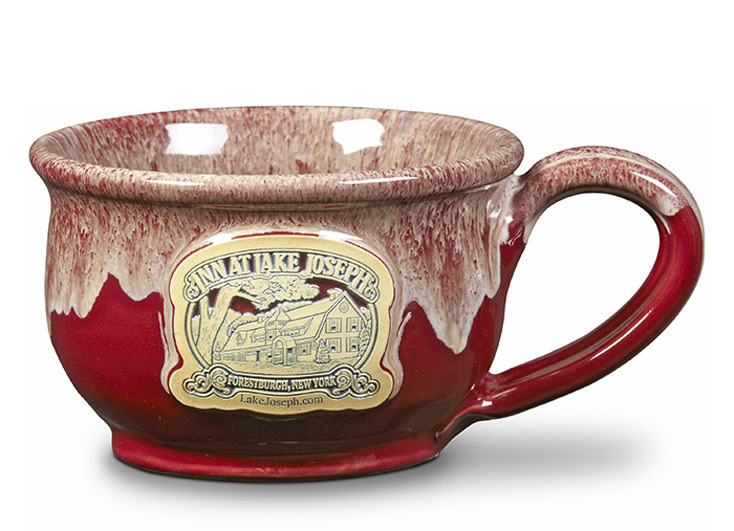 When you need to get a handle on on your meal our Soup Mug is just the item. 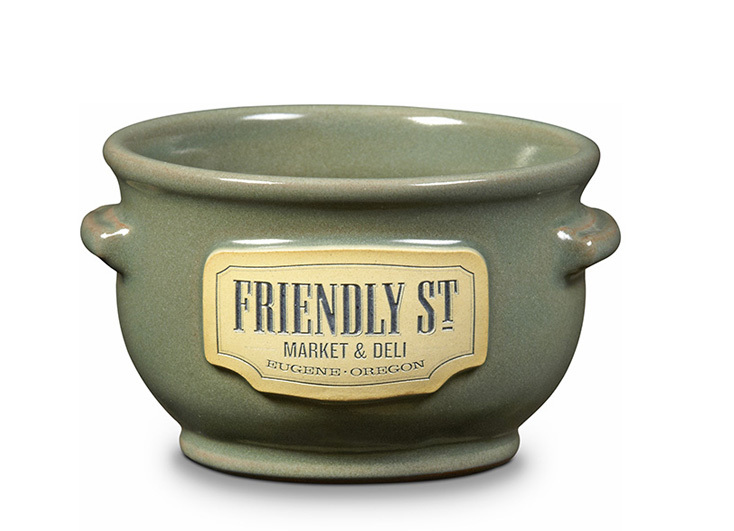 It's similar to the Medium Soup Crock, but it has a mug handle - it's hand thrown shape makes it very easy to carry. Whether you're serving up hot syrup or coffee creamer, this little pitcher is just fun to handle. You could use it as a bud vase too! 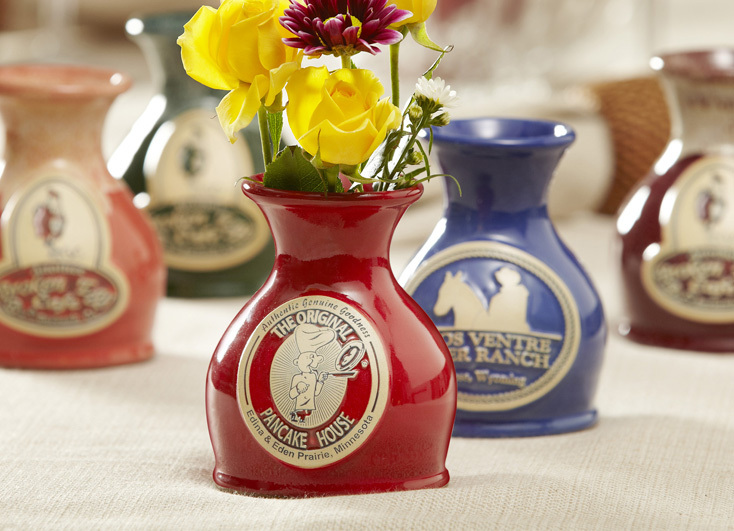 Small table tops and intimate breakfasts are where our hand thrown Bud Vase really shines. 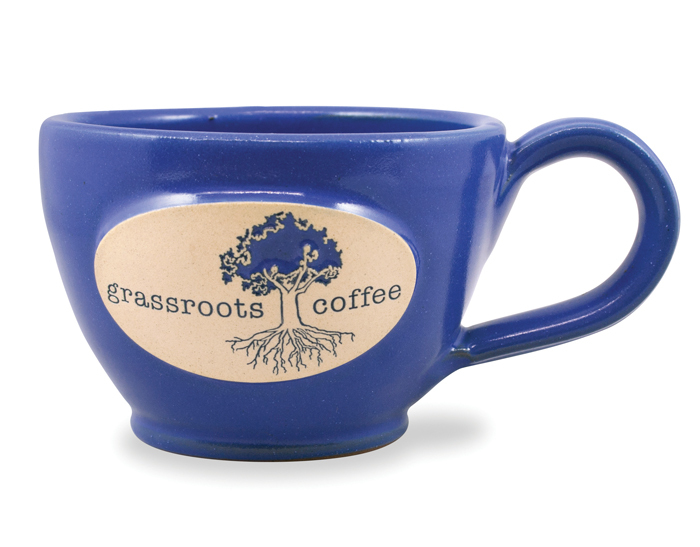 It's just the right size for a small bouquet and works with the same artwork as your mugs.